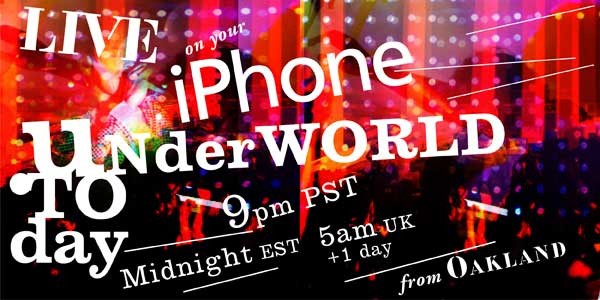 Sure, Google Voice and Slingbox on iPhone might give carriers the willies, but at midnight tonight (ET) you can tune into a live feed of British techno duo Underworld's concert in Oakland, California. Being touted as the first-ever live event streamed to the iPhone -- and if not, it's certainly the highest profile -- the feed utilizes iPhone OS 3.0's HTTP streaming capabilities and plays via Quicktime. Simply point your iPhone's browser to either one of the two streams linked below to join in on the fun tonight. Assuming your local carrier's service (hello there, AT&T) doesn't cave in under the strain, that is. UK group Underworld streaming footage of tonight's concert live to iPhone originally appeared on Engadget Mobile on Sat, 08 Aug 2009 19:42:00 EST. Please see our terms for use of feeds.